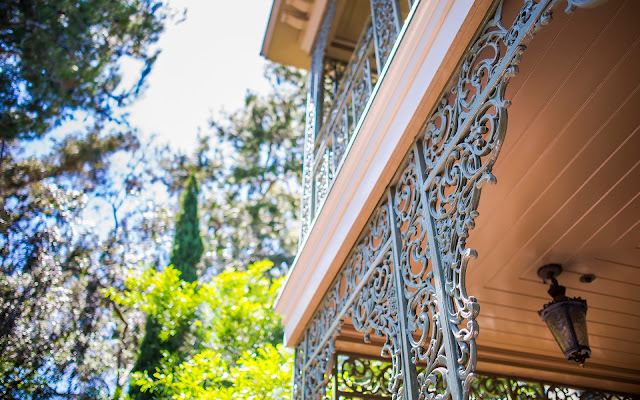 It's not often that I'm at the Haunted Mansion early enough to capture daytime and sunlit photos of the structure. 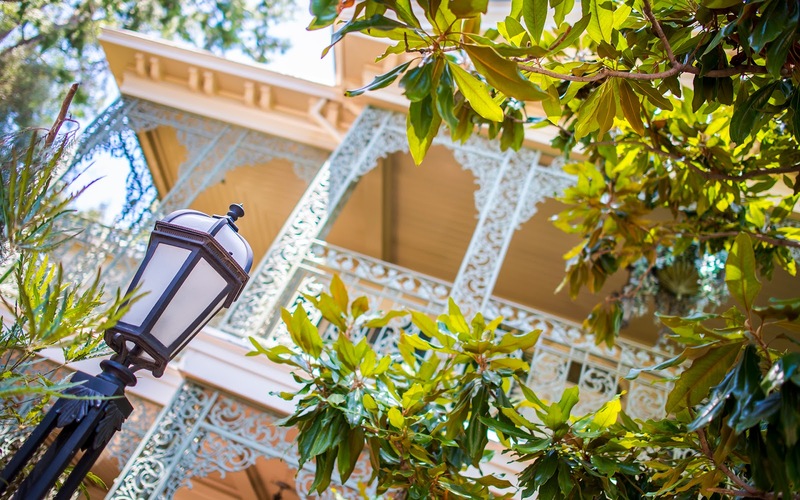 This gives it a different and much more welcoming feel, and it also provides better light for the abundance of nice details that abound around the home of those 999 Happy Haunts. Here are a few of those items in a brief photo tour around this eerie estate! 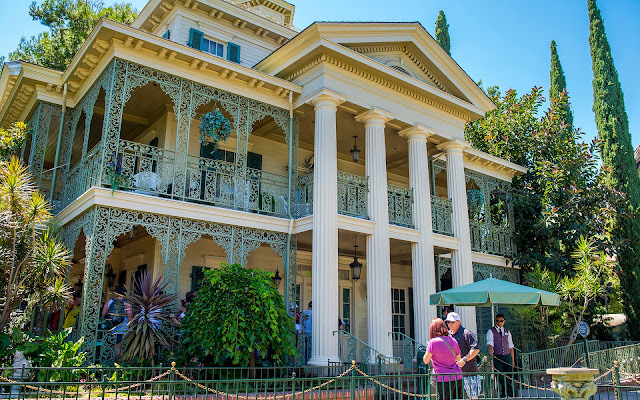 Coming upon the Mansion from New Orleans Square. 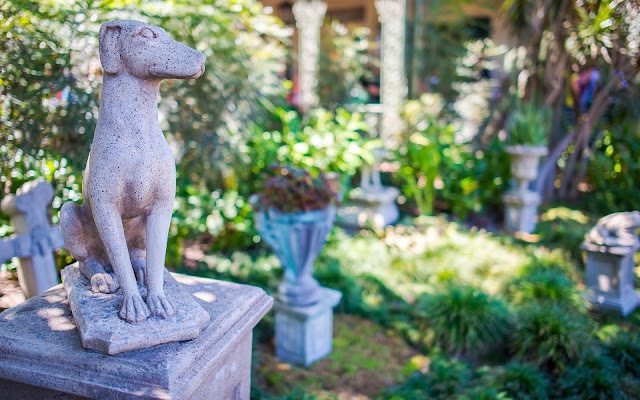 The pet cemetery is quaint and cute. 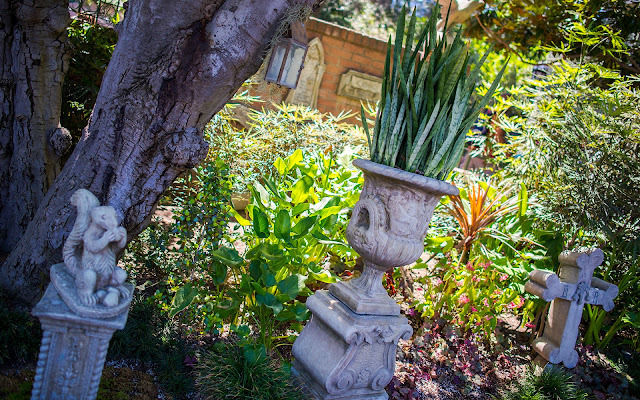 Little jokes abound on the tombstones. Approaching the mansion from the switchbacks affords this nice frame of the tree-shaded facade. 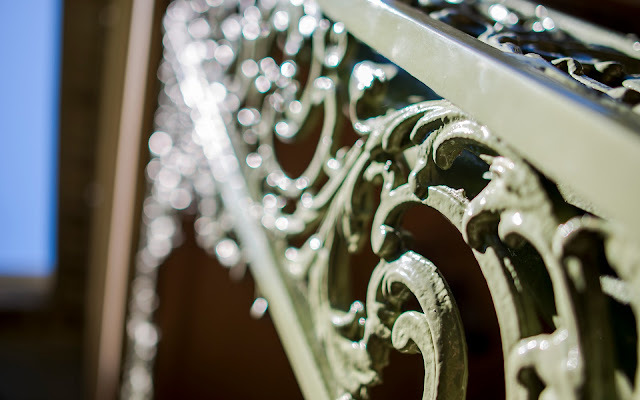 Ornate wrought iron supports the balconies. A very close-up of the wrought iron.